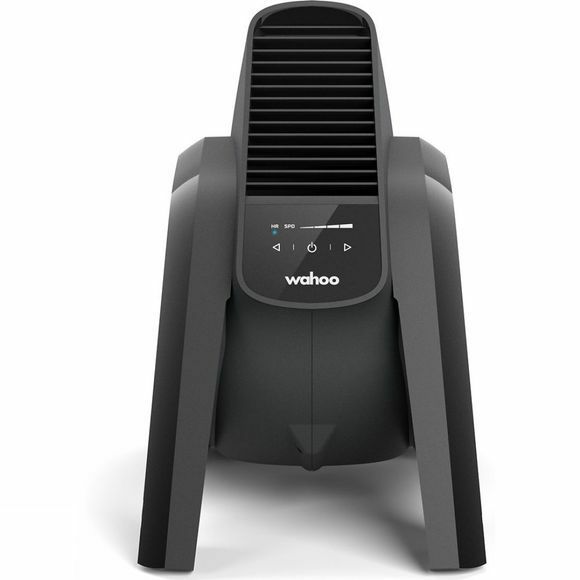 The award winning Kickr Headwind Bluetooth Fan from Wahoo is the first ever smart fan that is designed to suit every kind of cyclist. The device's Targeted Airflow Pattern mirrors the shape and position of a cyclist's body while riding so you can receive maximum cooling affect. With speeds of over 30 mph, you're able to keep cool during even the toughest training sessions. There are many ways to use this fan so every rider can choose the best option for their achieving goals. Firstly, there are 4 manual speed settings should you want to set your own ideal airflow and then focus on just riding. Next, some riders want to change the speed as they go so the fan can pair with the Wahoo App via Bluetooth for easy speed control at your fingertips. If you want the fan to increase it's speed to match the changes in your heart rate then you can pair a heart rate monitor and feel the coolest as you train your hardest. Finally, connect your ANT+ speed sensor or smart trainer directly to the fan so the headwind will simulate the feeling you get as you ride and have the most accurate indoor training experience. 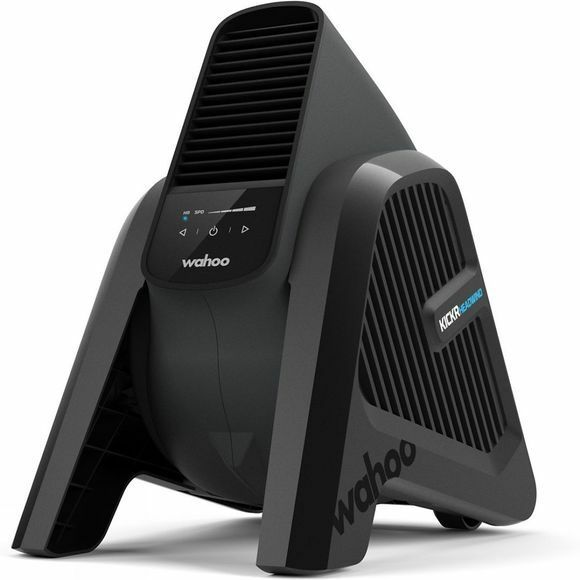 This smart fan makes up part of a Design & Innovation Award winning team along with the Wahoo Kickr and the Kickr Climb.